An annuity can provide a guaranteed retirement income. 1. What Happens Once a Variable Annuity Is Annuitized? A deferred annuity allows you to save for retirement on a tax-advantaged basis. Taking an annuitization payout from the annuity converts those savings into a monthly retirement income. Remember that annuitizing your deferred annuity is an irreversible action, so get all the information you need before acting. The annuitization of a deferred annuity converts the lump sum value of the annuity into a stream of payments. 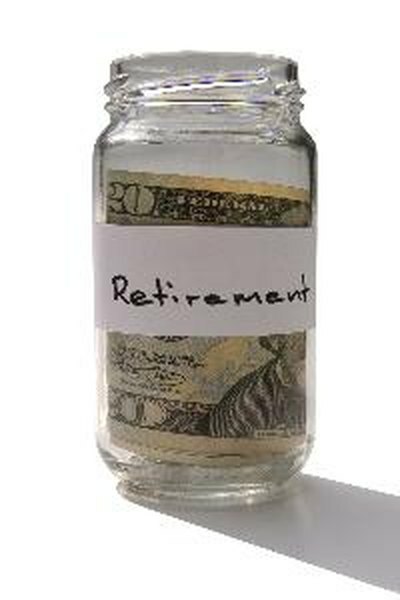 When the annuity payments start, the lump sum no longer exists. One form of the annuity was exchanged for the other. The annuitization payments can be for a fixed period of time -- such as monthly for 20 years -- or they can be set up as payments that last for as long as you live, a so-called life annuity. The total number of annuity options is typically larger than just these two choices, allowing you to pick the annuity payout that fits your retirement plans. For example, you often have the option of adding a spouse to the plan, so that if you die first, your spouse continues to receive payments. The first step to converting your deferred annuity to annuity payments is to request an annuitization quote and annuity payout request form from the insurance company. The quote will include the different possible annuity payout options -- the payout amounts vary, depending on how long you choose to receive payments: a shorter payout schedule for results in larger payments. Submit the request form along with your annuity choice plus proof of age to the insurance company. You can elect to have the annuity payments start at any time from 30 days to one year in the future. Follow up the paperwork with a call to the insurance company or your agent to make sure the annuity payment will start as requested. Before committing to an annuity payout from the insurance company which issued the deferred annuity, you may want to get some competitive annuity quotes. The tax rules allow you to make a tax-free exchange -- called a 1035 exchange -- from one annuity to another. If you find another company with better annuity payment options, complete a 1035 exchange request with the new insurance company to have your deferred annuity value transferred. A 1035 exchange may take a couple of months to complete, so plan ahead if you have a start date in mind for your monthly annuity payments. Once you elect to receive annuity payments in exchange for your deferred annuity value, the terms of the annuity cannot be changed. One option to retain some flexibility is to annuitize just a portion of your deferred annuity value. Use enough of the value to get a monthly check which meets your budget requirement and let the rest of the annuity value continue to grow tax deferred. You can annuitize the balance at a later date when you need more income. For life annuity payments, the later the age at which the payments start, the larger the payment.